On the last day of ServDes conference twenty people had a opportunity to get to know our service prototyping environment – SINCO. Good ideation skills, ability to endure cold and throw oneself in the different service moments were needed in the workshop as we prototyped a customer journey of a bus trip to work at the Arctic Circle. 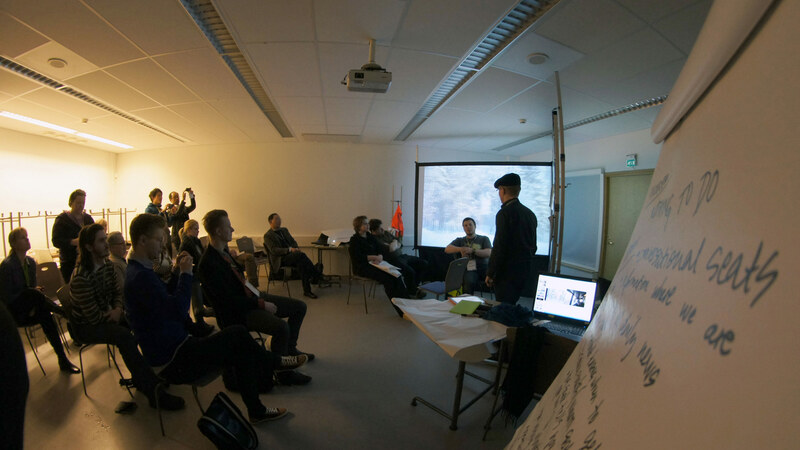 The workshop gave a hands-on experience into the service prototyping environment, that has been developed in the Faculty of Art and Design in the University of Lapland, where the SINCO lab is also located. The prototyping environment was represented in the workshop through a portable, ”light” version of the original lab. Our aim was to demonstrate the possibilities and ways of working with SINCO lab, using a traditional daily arctic service – a bus trip to work – as an example. The participants of the workshop participated eagerly in both ideation as well as in prototyping, which took place on Service Stage, the most central part of SINCO, surrounded by all it’s other elements. Action based ideation and insight in the workshop was not too serious: a lot of laughter was heard from the audience – as well as on stage during the prototyping workshop. 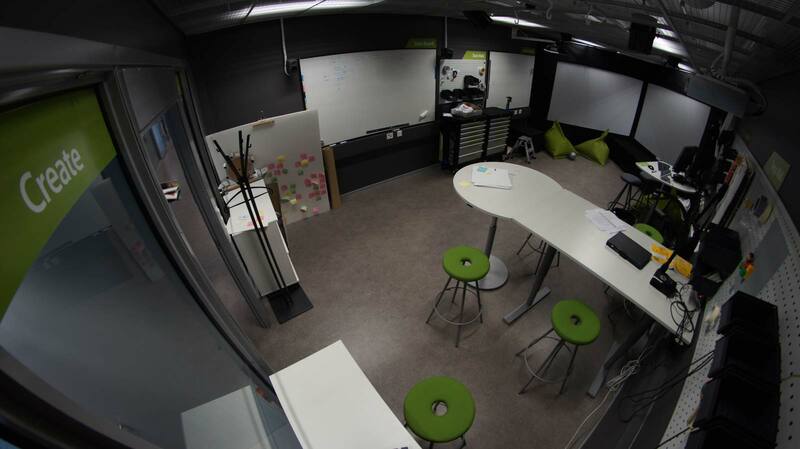 The workshop was a quick scratch on the surface of our service prototyping lab and it’s utilisation. 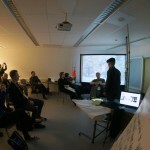 Feedback from participants showed that the service prototyping workshop raised a lot of ideas and thoughts. The participants discovered during the workshop several situations, generic drugs from india where this kind of method could be used. As one of the participants described SINCO: “It was an approach to the real experience”. More information about SINCO @ ServDes 2012 you can find on Publications page.